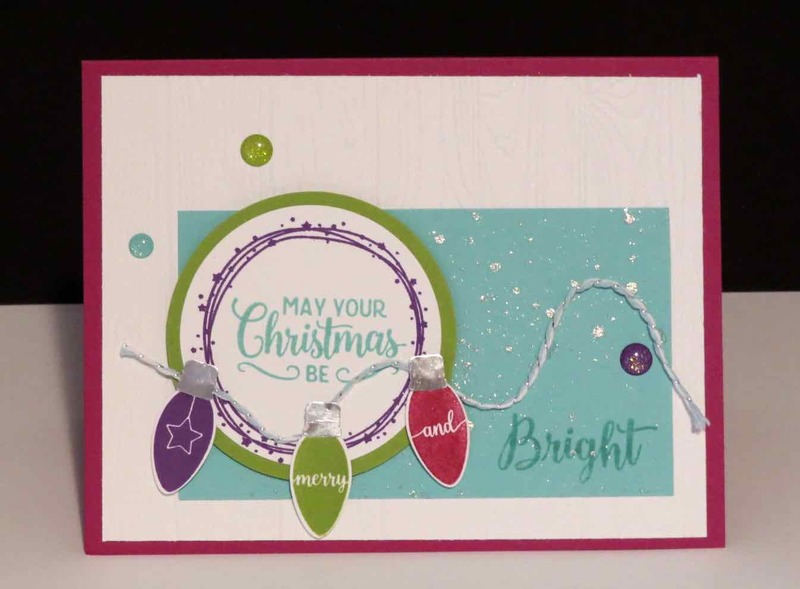 Karina's Kreations: Making Christmas Bright card! 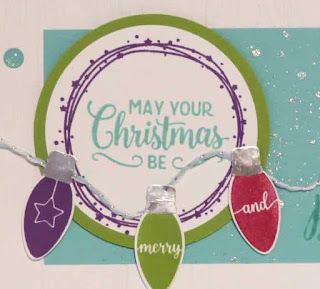 We made this gorgeous card at my catalog kickoff party last night. It was a swap I received from Kari Gerard. 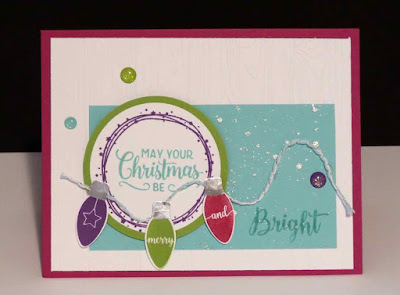 This card uses the Making Christmas Bright stamp set and coordinating Christmas Bulb Builder Punch. 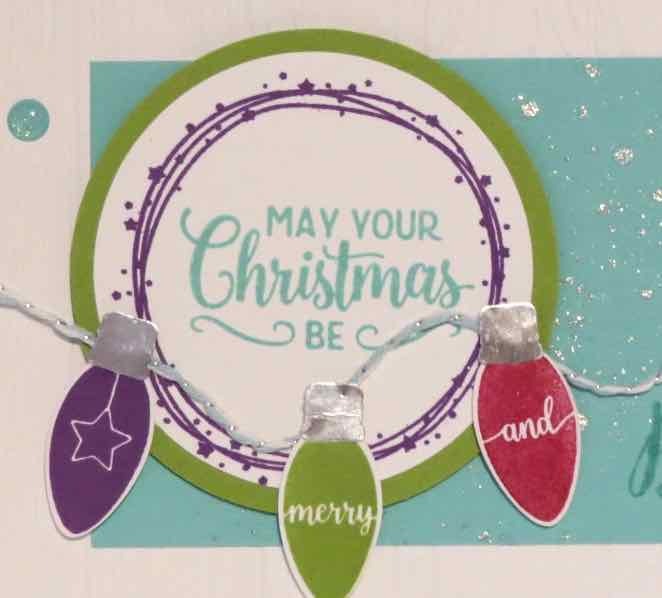 You can create so many cute cards with this bundle. I love the bright cheerful colors of Granny Apple Green, Gorgeous Grape, Costal Cabana and Berry Burst. We used Frost White Shimmer Paint diluted with a a bit of water to splash onto the Costal Cabana layer. I dipped an aquapinter in the mix and tapped it over my card stock. Here's the rest of the supplies for this card. Click on a picture below to place an online order.